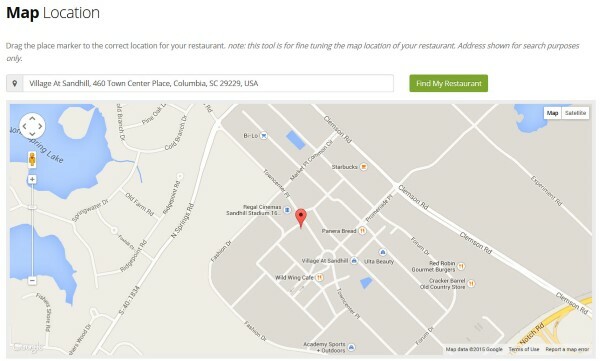 We’ve made it simple to dial in the exact location of your restaurant on a map. You can enter the coordinates directly or use our Map Location tool as outlined below. 3. Find your location by address (we will attempt to locate for you) or drag and drop the place marker to the exact location. 4. 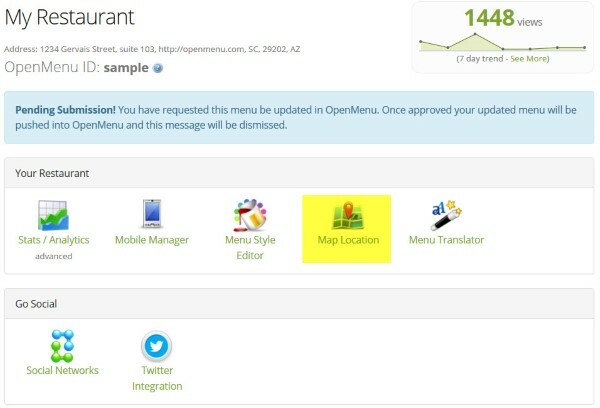 All changes to your OpenMenu must be submitted. How do I manage multiple restaurants in my account?